A properly designed pergola will block out the harsh summer sun when you need your home to remain cool and provide shaded areas outdoors, whilst in the winter they will let the low angle winter sun warm you and your home. At HDW Builders we love customer building quality Pergolas as you can be really creative with design and materials, we recommend using NZ grown macrocarpa, recycled hardwoods and Cedar – all of these woods being the most suitable to use for pergola construction in NZ. 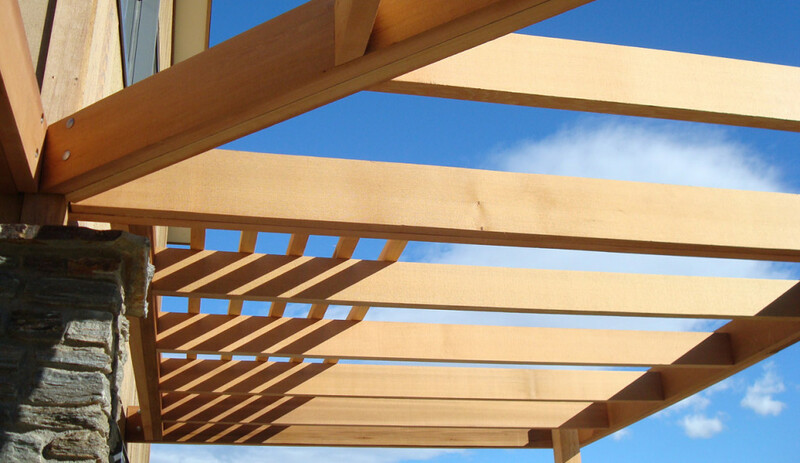 The pergola shown on this page was crafted using Western Red Cedar. It really complements this tall house by grounding it and providing shade and character to the outdoor patio. This pergola was built to the exact specifications drawn by the architect.